The King Alfred Phoenix Theatre is a fully equipped, flexible and versatile event space with stage, seating for 108, sound, lighting and AV facilities. 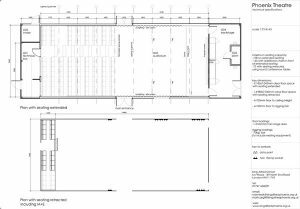 Click here to view the technical specification of our theatre facilities. The King Alfred Phoenix Theatre is fully equipped for your theatrical performance, rehearsal or workshop, or can be used to host your conference, seminar or talk - or what about a cinema or lecture venue. Our space can can accommodate your event, get in touch to book the theatre today.